Nowadays, it seems almost assumed than any popular book series will be adapted into some kind of multimedia series. And though it took some time, a Newberg company has done just that for a long running series of children's' fantasy novels about speaking, sword-wielding and magical animals. SOMA Games, a company located on 361 E. First St., has created the only licensed game based on the popular "Redwall" novel series, a 22-book franchise by the late author Brian Jacques. Although the series was adapted into an animated television series in 1999, Newberg-based SOMA is the first to adapt it into a licensed video game. The game was released in mid-September and is available on Steam.com, a provider of online games. The game, "The Lost Legends of Redwall: The Scout," is based on characters created in the Jacques series, published by Penguin House. Described as a "stealth-adventure game," the first episode of the game, titled "Lilygrove," features known characters Liam and Sophia. 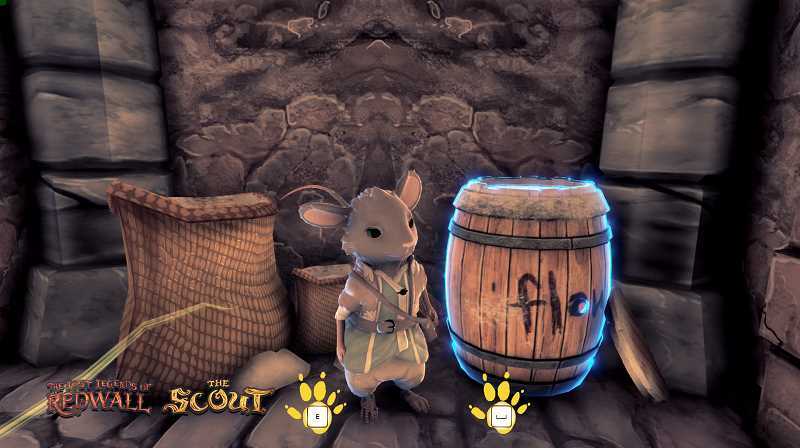 The company's website, which says more episodes of the game are in the offing, says the game "tells the story of a mouse who is driven to Redwall Abbey when sea rats raid the peaceful village of Lilygrove. Not too far from the storied walls if Redwall Abbey is a small village of mice and moles called Lilygrove. Our hero, Sophia, is the newest member of the Lilygrove Scout Corps, a group of woodland rangers tasked with the protection of the little village and trained in the ancient ways of woodcraft. But her graduation is cut short by the sudden raid from a band of sea rants led by the brutal wearet, Scumsnout. It will take all her wit and guile to make it out alive!" It is set before the start of the series of novels, making it a prequel. The production of the game began after a successful Kickstarter campaign, raising nearly $18,000, and it tells a new story in the "Redwall" universe. Work began on the game in 2012 by Christopher and Alan Miller, who had intended to make a feature film, although SOMA gained the game rights a year later and took over primary development. The company plans to launch five more chapters in the "Redwall" series, with the next chapter titled "Escape the Gloomer." SOMA games describes itself as "a group of Christians making video games," but the website states it is not "a Christian video game company." "We're making games that will be founded upon, and informed by Christian thought and the Christian understanding of reality. However, we don't plan on making games that teach Christian theology," the website states. "There are no scripture references, no Biblical characters and no telling of the Jonah story – other companies have been there and done a fine job. We hope to try something a little different." Founded in 2008, the company has also created the games "G Prime" and "Wind Up Robots."